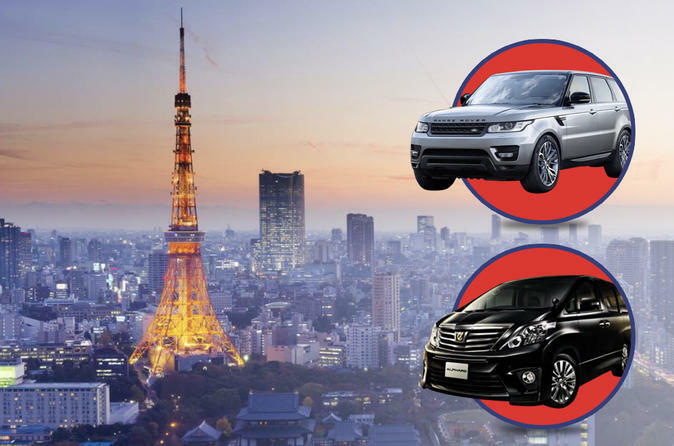 Enjoy a comprehensive completely private chauffeur driven tour around Tokyo tailored around your schedule, picked up from the comfort of your hotel. You can choose from one of our set itineraries or follow your own customised itinerary. You can pack as many amazing sights into your day as possible such as Sensoji Temple and Nakamise Street to the famous Tsukiji Fish Market. Take a walk through the beautiful Imperial gardens, enjoy the magnificent views from Tokyo Tower or Skytree, stroll around the futuristic Odaiba and Shibuya crossing areas, or you can take your time and enjoy each and any destination in Tokyo in a schedule that suits you. See the best of Tokyo as you visit some of the city’s top shrines and shopping areas. It’s a great way to get a quick taste for the unique blend of modern and ancient sites available in this fascinating city during a short visit. You will be in a high class car such as a Range Rover or Toyota Alphard. Your driver will pick you up from the comfort of your hotel in the morning and you will head off to your first destination. Tsukiji Market is always a great place to start where you can sample some of the best and most fresh sea food in the entire world from the many street vendors. Continue on to Nakamise Shopping Street, a brightly-colored thoroughfare of food vendors and souvenir stores that leads to Asakusa Kannon Temple (Senso-ji), one of Japan’s most important Buddhist sites and check out the elaborate gardens, architecture and shrines that surround the site. Head over to Japans tallest building, the Skytree and take in some absolutely breathtaking views from the 300m and 450m decks. You will see Mt. Fuji on clear days. On to Shibuya where you can see the world most busy scramble crossing and the famous Hachiko Dog Statue. Head up to the famous Harajuku, the spiritual home in Tokyo’s fashion history, many fashion spots and trendy shops line the streets. You can also visit a cat/owl or even hedgehog cafe here. From here you will head to the final destination of the day, Meiji Jingu Shrine. Meiji-Jingu Shrine is one of the most respected Shinto shrines in Japan. Every year, over 3 million people visit for the first prayer of the New Year. It is dedicated to the divine souls of Emperor Meiji and his consort Empress Shoken, although their tombs are in Kyoto. Please remember this tour is fully customisable to meet your own needs and requirements.